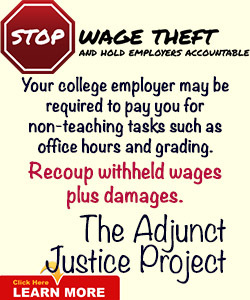 The bottom line is that the American Federation of Teachers, along with the American Association of University Professors have been paying for “studies” and “research” that have concluded time and again that there’s a pressing need to get rid of adjuncts. Think about this for a moment: the unions that represent these adjuncts, who collect union dues from these suckers, are telling the public and the industry that their own members are a collective liability. If this strikes you as outlandish and unfair, not to mention unethical and sleazy, it should. Adjunct faculty comprise the majority of college faculty in higher education today, some 1 million of the 1.5 million faculty employed in the country’s 5,000 or so nonprofit and for profit colleges and universities. When Adjunct Advocate magazine (now AdjunctNation.com) was launched in 1992, only about 35 percent of college faculty were part-timers. That percentage has doubled in the 20 years we have been reporting on the Adjunct Faculty Nation. On whose watch has it happened? Why, yes, the collective watches of the education unions. The same unions whose leaders have spent way too much time and money vilifying their own members. Then, Miller throws in a classic myth: “The turnover rate is high, as contingent faculty either leave the profession or seek teaching employment elsewhere.” This is simply not true. 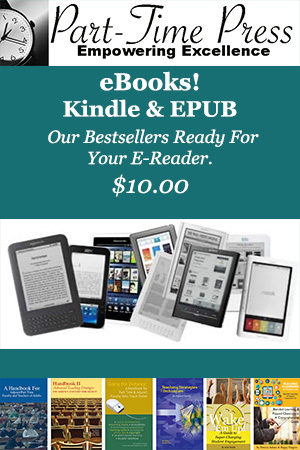 In 2008, Dr. Cary Nelson, then president of the AAUP, published an essay in Academe that was equally insulting to the thousands of part-time members who were paying dues for equal representation by Nelson’s organization. In his piece, Nelson refers to part-time faculty as “fast-food faculty,” “vampires,” and “nameless bodies.” Like Miller, in 2008 Nelson was pushing the “transient” myth. Part-timers are “transient,” Nelson writes in his 2008 essay. Both Miller and Nelson ignore the facts. According to a study done by the NEA, part-time faculty remain, on average, seven years at their teaching jobs. On the AdjunctNation site, our own survey of users who teach part-time found that over 60 percent of those who responded said they’d taught 4+ years at their current job. In 2008, a trio of AFT bigwigs trashed part-time faculty while testifying in front of the state legislatures in Oregon, Washington and California about the need for states to shovel more money into higher education so as to pump up the number of full-time faculty, and increase their salaries. It was a sickening travesty, and yet another example of why the education unions are still unable to stem the uncontrolled over-reliance on cheap labor in the higher education marketplace. Yes, there are part-time faculty out there who are incapable to doing their jobs well. 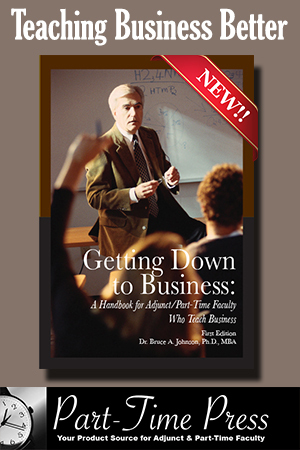 There are part-time faculty who are inept and unprofessional. They’re in the classroom because shockingly shoddy hiring practices of colleges and universities put them there. These faculty should be given the boot, and some will be dismissed. The same could be said of tenure-line faculty, as well. They will be given the boot—after six years—when they’ve gone through the tenure review process. College faculty off the tenure-track are not “monsters,” “vampires,” “fast-food faculty” or “nameless bodies.” They are hard-working women and men who’ve chosen to devote themselves to teaching America’s college students. I can’t even begin to describe how sick to death I am reading the insults hurled at adjuncts under the guide of “defending” them. I can’t tell you how many times I’ve read essays like Mark Miller’s, and felt frankly outraged at the abuse heaped on adjuncts while at the same time reminding people what an “excellent job” part-timers do. 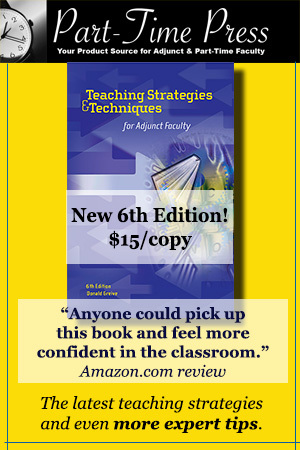 If adjuncts do an excellent job, why is there a problem at all? Mark Miller didn’t bother to logic that one out, alas. He simply followed a script whereby adjuncts get vilified, praised, and then ultimately sold down the river by the very same people who are paid to represent them. This cycle of chronic abuse, I believe, is really the monster the higher education system has created.